Not all virtual private networks are created equal. For masking your IP address and location, just about any service will do. But in an increasingly insecure internet, a no-logs policy is the mark of commitment that makes sure your data is protected not only from hackers and trackers but from the VPN itself. And for that, you need Private Internet Access VPN. Private Internet Access has been named editor's choice for VPN by Tom's Guide and PC Mag, and with good reason. Their MACE feature blocks trackers and ads, while your data is made doubly secure with Blowfish CBC algorithm encryption and SOCKS5 proxy servers. With PIA, you'll be able to access global content from anywhere - at increased speeds - from one of more than 3,160 servers in 33 countries. And did we mention their no-logging policy? That means no one - not even the VPN - will be able to track your log-ins. 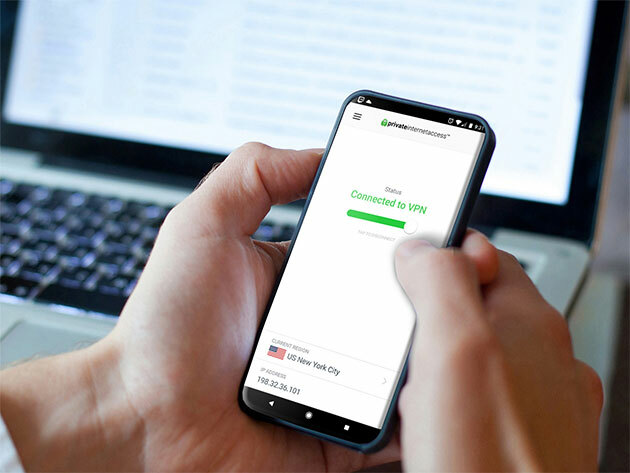 Give it a spin with a subscription to Private Internet Access VPN starting at $55.55 for 2 years - a 66% discount off MSRP.